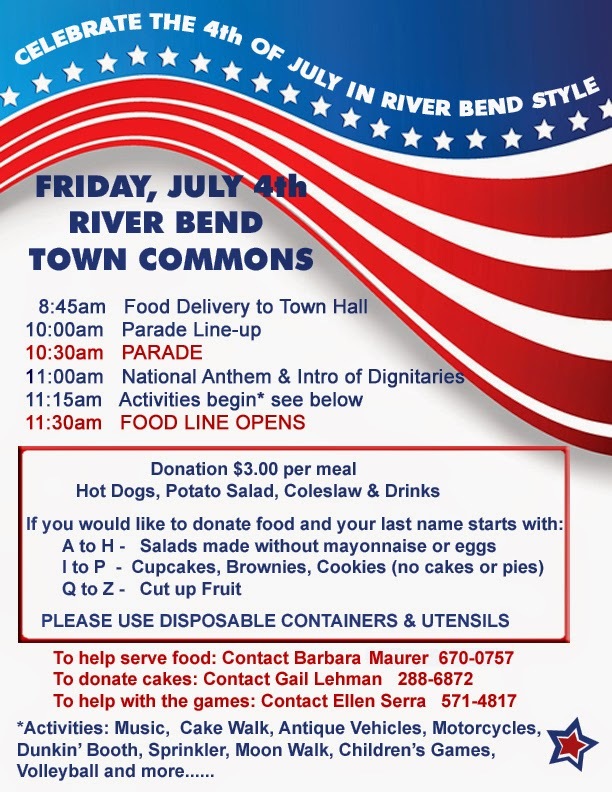 River Bend July 4th Celebration! (Raleigh) Carolina Rising is today calling hundreds of thousands of North Carolina voters informing them of Roy Cooper’s abuse of power by using an ongoing State Bureau of Investigation (SBI) investigation to smear political opponents. After the SBI crime lab scandal and the outrageous appointing of Roy Cooper’s lobbyist, a person with no law enforcement experience to head the SBI, the General Assembly is considering moving the SBI to the Department of Public Safety, a move considered for years by Republicans and Democrats. Cooper apparently released information about an investigation into a political donor who may have broken campaign finance laws. Cooper’s staff seemed leave the impression that some of Coopers political opponents may have done something wrong, although there is no apparent factual basis for that allegation and little likelihood under existing campaign finance law. Cooper recently had to admit that he lied in a 2000 TV ad and has continued to lie about it for the last 14 years. Republicans and Democrats have attacked Roy Cooper for allowing pollution from coal ash to continue for years. The Mission of Carolina Rising is to champion sound public policy that secures a rising and thriving North Carolina. An innovative citizen engagement organization, Carolina Rising supports free market, education and government reform policies that will guarantee a better North Carolina for future generations. Organized as a 501 C-4, Carolina Rising seeks to aggressively promote sound public policies and individual freedoms and seeks to educate citizens by comparing & contrasting competing visions for the Tar Heel State. “Although Barack Obama and like-minded tyrants profess to be driven by humanitarian compassion for non-English speaking, impoverished illegal aliens, the truth is far more cynical, perhaps even criminal. Indeed, the overwhelming support for amnesty among liberals is based on simple electoral math: Granting citizenship to tens of millions of illegals would unquestionably alter the political balance of power in a manner favorable to nanny-state socialists, at the expense of capitalist, free-market American citizens. Rick Hopkins, Chairman of CCTA, just received an email stating that the "Gay Rights" flag is being flown today over the American Embassy in Tel Aviv indicating support for the LGBTQ community according to US ambassador to Israel Dan Shapiro. · Phone Number: (202) 647-4000. Let President Obama and Secretary Kerry know CCTA's displeasure!!!! The New Bern Gun and Knife Show will be at the Craven County Fairgrounds and our group will be out in support of our 2nd Amendment rights! Let's get enough Patriots to cover both sides of the highway. We will have Military service Flags posted. We will be there from 9:00 am until 12 Noon, longer if folks wish to stay. Water will be available. CCTA PUBLIC PROGRAM MEETING--THIS TUESDAY! Craven and Pollock St., New Bern, NC. Elevator Entrance: 249 Craven St.
or Stairwell Entrance at 305 Pollock St.
Greg will speak about the grass roots constitutional conservative movement. in this area and most capable of sharing that knowledge. Come and join us for an evening with Greg and engage in a lively discussion during the QA session to follow. it is an educational event. Bring your school aged children and encourage them to participate. at 249 Craven Street (elevator) and 305 Pollock Street (stairs) second floor. if you want to come early and have a meal prior to the meeting. The elevator entrance to Stanly Hall Ballroom is at 249 Craven Street, and the stair entrance is at 305 Pollock Street. There is a parking lot across the street in the north eastern quadrant of Craven and Pollock. We meet every 3rd Tuesday for our Public Information Program Meeting. OPEN TO THE PUBLIC–PLEASE COME OUT AND JOIN US! STAND FOR LIBERTY RALLY IN NEW BERN THIS SATURDAY! IMPEACH OBAMA ACROSS AMERICA RALLY, in front of Hyundai of New Bern on Hwy.70, New Bern, NC. The New Bern Gun and Knife Show will be at the Craven County Fairgrounds and our group will be out in support of our 2nd Amendment rights! Let's get enough Patriots to cover both sides of the highway. We will have Military service Flags posted. We will be there from 9:00 am until 12 Noon, longer if folks wish to stay. Water will be available.